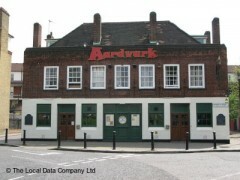 About: The Aardvark is a South African pub with outside seating, cocktails, food, pool, darts and a big screen for sporting events. Haven't been here for a while but it's a real South African place. The food is decent and the beer appears to be authentically S. African. There seem to be a lot of S. African ex-pats there with the Afrikaans language being fairly ubiquitous there. Even as a non-South African I liked the place.